Part three in a book chain, if such a thing exists. Claire Tomalin’s Thomas Hardy biography recommended Edmund Gosse’s Father and Son, which forms the basis for much of the early portion of Oscar and Lucinda. If the chain were to extend further, it would loop back and take in Philip Henry Gosse’s A Naturalist’s Rambles on the Devonshire Coast, which makes an appearance here. Chunky and satisfying, with a neat line in justifying gambling from a clergyman’s perspective: ‘Our whole faith is a wager, Miss Leplastrier’. Two novellas and an epistolary novel, the first three stories in La Comédie humaine. I was feeling ambivalent about caving in to gadgetry / consumerism and buying a Kindle, so this is my justification. Now, I know almost nothing about Balzac except that Proust rated him highly, and that he is associated with the French branch of nineteenth century realism, so I was surprised by how rarefied these stories are. All turn on love, and all ooze money. In The Ball at Sceaux the aristocracy, having spent a fortune repelling Napoleon, is engaged in clawing back its affluence through marriage with rich commoners, and the elegant, spoiled Emilie de Fontaine refuses to play along, eventually throwing over the man she loves when she finds him behind the counter in a draper’s shop. The novellas are both beautifully plotted, fairytale-like in their twists and comeuppances. The novel went on for rather too long about the greatness and perfection of love vs. the greatness and perfection of family life (because obviously you can’t have both), but it hasn’t put me off wanting to read more. A thin, elegant soup. The best music memoir I’ve read in a long time, if not ever. Tied with Bill Drummond’s 45 and Julian Cope’s Head On, and closer to the former for the behind-the-scenes manager shenanigans. Boyd’s producer credits include Nick Drake’s Bryter Layter and Vashti Bunyan’s Just Another Diamond Day, which I knew about; Nico’s Desertshore and Pink Floyd’s Arnold Layne, which I didn’t. He was there at the 1965 Newport Folk Festival when Bob Dylan invented the modern world (or at least annoyed a lot of folk fans), running between factions during the short, cacophonous set. The anti-Dylan faction included Alan Lomax and Pete Seeger; the pro- had Albert Grossman (Dylan’s manager) and, oddly, Peter Yarrow of Peter, Paul & Mary. It was Yarrow who said no, they weren’t going to turn it down. That is just one example of how absurdly well placed Boyd is to tell the tale of a certain strand of ’60s music, and he does it with self-deprecation and wit (it is his tone, more than anything, which reminds me of Drummond). 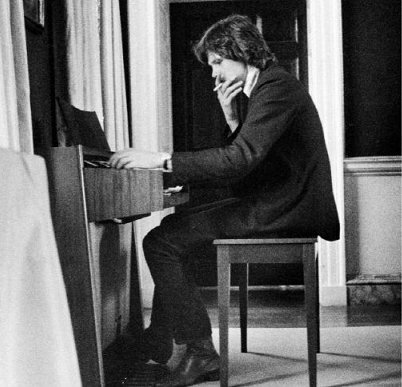 The sections on Nick Drake are fascinating, and it was a surprise to discover just how much Bryter Layter is the product of him as a producer and Witchseason as a label, from whose other bands it took its musicians. Once it was done, Nick told Joe he wanted to make his next album much more spare, with no arrangements, and Joe took a job in America, feeling that the acts he cared for most (Nick and Fairport Convention) no longer needed him. Further listening: Joe Boyd’s ‘Lucky 13’ podcast, for Resonance FM.